It was 1984 when Roberta and Ken Williams, the creators of adventure gaming legend Sierra, released an innovative little game that was meant to showcase the graphic capabilities of the IBM PC junior. It went by the title of “King’s Quest: Quest for the Crown” and it was unlike anything gamers had ever seen. It was after all a behemoth that took (almost) $1,000,000 and 18 months to produce, and this during an era of bedroom programming and average budgets of a few thousand dollars. King’s Quest reached its maturity during its sixth incantation, which was co-designed by none other than Jane Jensen of Gabriel Knight fame, only to die along most of Sierra’s franchises during the late nineties and the adventure crisis era. The last attempt at a King’s Quest game, the dreaded King’s Quest 8, a rather dull 3d combat-infested adventure/RPG hybrid, was a commercial and critical flop, that simply could not breathe new life to the whimsical land of Daventry (the traditional setting of King’s Quest). 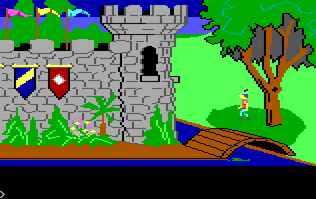 Thankfully though, the cult following of King’s Quest has always been strong. This was of course more evident than ever after the official death of the franchise. 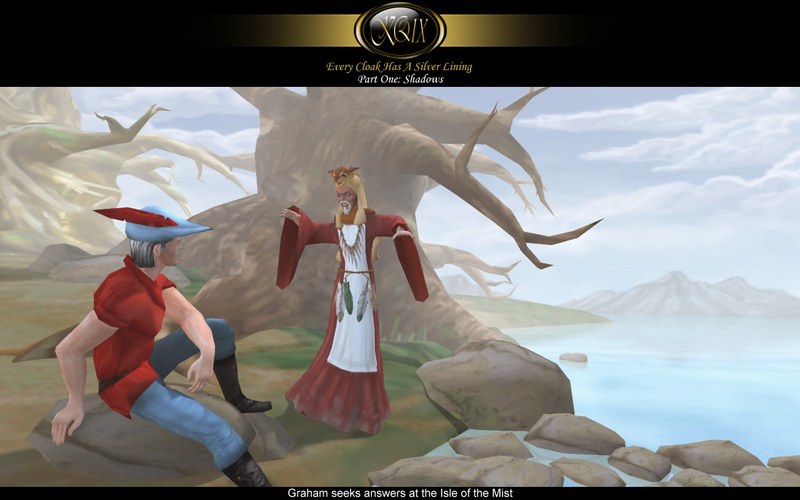 You see, some games just can’t be forgotten, and the thriving indy adventure community did its best to keep the world of King Graham alive, by producing excellent remakes of King’s Quest I, II and III with updated graphics and point and click interfaces. Just, have a look at the websites of AGD Interactive and of Infamous Adventures, and you too, oh dearest of readers, will be able to enjoy those wonderful freebies. Then again, updating an existing game is one thing, while expanding and evolving a much loved franchise is another. That’s exactly what the talented and quite ambitious team of Phoenix Online set off to achieve. Take the whole King’s Quest series further by actually producing King’s Quest 9. 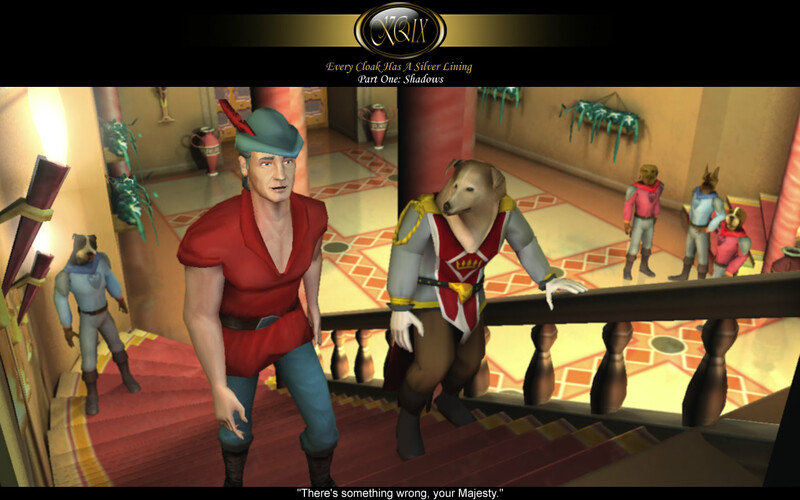 The harsh realities of copyright and Vivendi’s legal team initially stopped the project, but in typical dialectic manner the mass fan based movement finally led to the game being renamed and allowed to continue its existence under the name The Silver Lining. The Silver Lining will be an adventure in three parts, namely Shadows, The Two That Are One, and Eternities, following the endeavors of King Graham in a brand new 3d environment. The game will feature more than 400 distinct characters, 1500 pages of script, a really amazing musical score, tons of spoken dialogue and around 300 locations, easily surpassing the scope of every independent adventure ever released. Phoenix Online’s more than 40 artists, programmers and designers have also been kind enough to provide the whole epic free of charge. Nice lads and gals, aren’t they? The 30th of July was the day the first playable demonstration of TSL was released and a day when Phoenix Online’s claims of brilliance were proved to be quite true. The immediate release of a patch (in just 3 days!) that fixed some major problems of the demo, helped instill more enthusiasm in the ranks of King’s Quest fans. I strongly believe this will be a game to forever change the independent gaming scene in general. I will not go into the details of the game in this article, as this was just a first demo lacking cut-scenes and quite a lot of polish, but I’ll just give you a brief idea of what to expect. First of all, The Silver Lining sports a traditional point and click interface, highly reminiscent of the one the good people of Sierra used themselves. Gameplay-wise it seems like a mostly inventory-based affair, presented in glorious 3d, albeit with fixed camera angles. The (still unfinished) graphics are of professional quality, though not yet comparable to the likes of Dreamfall, featuring rich textures, interesting and lavishly illustrated locations, and quite a few of modern lighting effects. The soundtrack, on the other hand, is of the highest level and one of the better I’ve enjoyed in recent games, while the voice-over is generally good if inconsistent. There are still a few bugs, mind you, but the overall quality is most reassuring. TSL will definitely be a solid offering. After all it’s not everyday when you can play as King Graham on the beautiful Green Isles and have the game track your score in the oldest of adventuring traditions. These first impressions were based on the patched version of The Silver Lining (v.1.0.1.) that can be downloaded at the TSL website. [Adventure Lantern]: Would you be so kind as to give us a brief description of how work on TSL began? [Phoenix Online]: This is difficult to say, since the original founders have long since left the project and our Art Director is the only one who remains from the original team. However, I assume it started by people who were not impressed by the final official game in the series "King's Quest: Mask of Eternity", and felt that fans needed proper closure. [AL]: How about now? How are you managing to keep such a big (and un-paid) team coordinated? [PO]:It is a very complex process. As one of the Project Directors, I use various concepts, styles, techniques and princples I've learned in Software Engineering, Business Management, Applied Psychology, and Software Project Management. We use everything from Work Breakdown Structures, Progress Reports, Gantt Charts, Project Plans, etc. However, regardless of size or budget, there are simple key concepts to succeeding with any project: team work, communication, leadership, and hard work! [AL]:From your experience so far, would you be thinking of changing anything in the TSL project? [PO]:Actually, I wouldn't change a thing. However, now that we are granted legal status, we have a ton of opportunities to shape and mould this game however we feel is best. [AL]:What do you consider TSL's greatest innovation? [PO]:Production-wise, I would say that even though our game is point-and-click and adventure genre, we have taken it to 3D and incorporated cinematic techniques from plot structure all the way to both in-game and pre-rendered sequences. As I've told our Project Director, Cesar Bittar years ago upon first reading the script, this game immerses you like you are watching a movie, and who knows, perhaps one day TSL may even inspire one to be made! Publicity-wise, I would have to say our website. We've evolved its design, style, implementation, features, and structure over the past 4 years, and I love the way it is today, since it continues to improve. It has directly attracted the hundreds of thousands of fans we have today, because our game has not yet been released to the public. [AL]:So ... 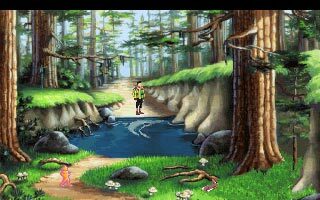 The Silver Lining will be quite a major freebie for every King's Quest and adventure game fan... Any ideas for developing original -perhaps even commercial- I.P.? [PO]:Definitely! Our next projects will be commercial and original non-Sierra owned intellectual property. We cannot reveal any details on these projects at the present time, but you may see some Phoenix Online Studios prior and/or during the release of Shadows. [AL]:When should we expect a demo (we didn’t actually have one at the time of the interview…)? Are you going straight for the release of the first episode? [PO]:We've actually just released our first Public Demo RC1 on July 30th, 2006 during our Major Event. You can expect minor updates and fixes to this demo to be released soon in RC2. To download the TSL Public Demo demo, please visit: http://www.tsl-game.com/trilogy/. [AL]:What would you say the future holds for the team? [AL]:The pleasure is of course ours. :).